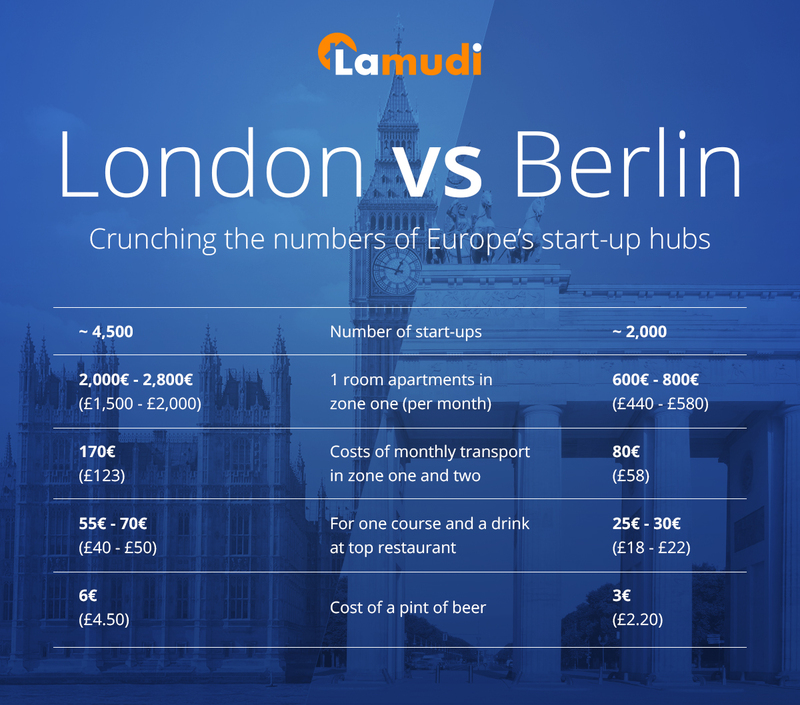 Berlin will take over London as Europe’s startup capital within the next five years, according to a new analysis by global real estate portal Lamudi. Berlin, with its large and flourishing creative pool, attracting musicians, artists and young professionals from all over the world, will soon take the lead. 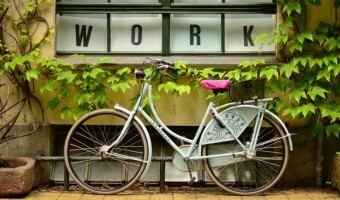 Deciding where to start a venture in Europe is probably one of the toughest decisions a young entrepreneur has to make. Both London and Berlin provide a strong urban infrastructure and a creative dynamic market for startup companies. 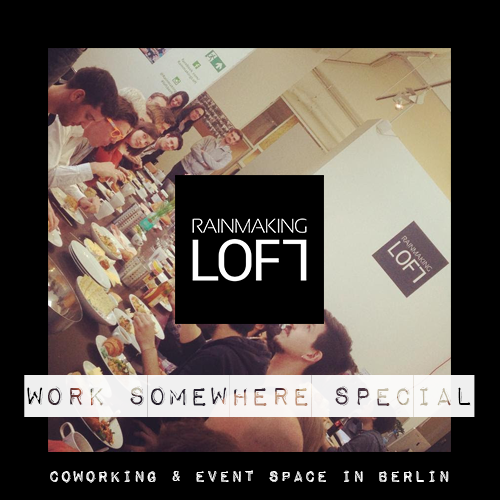 London may has easier access to tech support, venture capital and big media players, but Berlin has a small and lively startup community, which is still defining itself, with a lot of potential to grow. In order to decide where to settle, you have to take a closer look at what the metropolises have to offer. London’s official population is almost four times bigger than Berlin’s. Its strength lies in: commerce, education, research, tourism and not to forget it is host to one of the world’s leading financial centers. The chances of finding a potential investor therefore is much higher and is the biggest advantage of starting up in London. 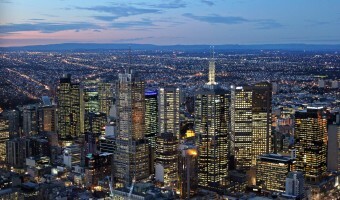 For many investors, however, the location of their investment is not necessarily a deal breaker. You can easily fly from London to Berlin within an hour – the same time it takes you to get from one end of the UK capital to the other on the Underground. What every entrepreneur worries about are costs. London does not only outpace Berlin in population, but also in living costs. According to data from Numbeo, you can maintain the same standard of life in Berlin (£2,177.74) for half the price compared to London (£4,200.00), assuming that you rent in both cities. The consumer prices in Berlin are 30 percent less, and the rental costs are almost 70 percent less than London. Affordable rental rates are not only attracting business developers but also talents within and outside from Europe. The EU Blue Card allows people all over the world to stay a maximum of four years and for three months after the contract ends, a huge advantage compared to the strict immigration regulations of the UK. “While London offers a good foundation in terms of capital and tech support for startups to grow, it mainly lacks quality of life. Berlin, on the hand, offers both. 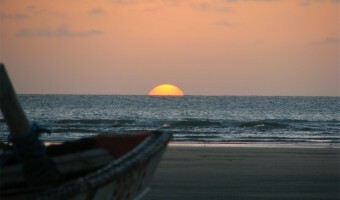 It has a lively start-up scene, a cosmopolitan character with people from all over the world, but at the same time is an affordable place to live and start a business,” says Paul Hermann, Co-Founder at Lamudi. Berlin is just the right city for young entrepreneurs and talents who do not want to sacrifice quality of life and enjoy their youth, also known as the Millennial Generation or Generation Y. In Berlin they can find diversity, tolerance, a rich history, a strong economy and ever-developing infrastructure, as well as a wild nightlife scene open until dawn. Moreover, Berlin does not only focus on growing tech companies, while London is considered a hub for technology startups. The German capital is open to all industries – from fashion, music and food, to technology, real estate and cars. With its wider range and the vast possibilities it is the perfect place for the expressive generation to blossom – and grow. Read the Startup Hook article on ‘Taking Your Startup Global: The Lamudi Story‘. Thanks for stats. We can see this trend too. More and more startups based in Berlin knocks our door to get help on building their products.